Buck began his career on the Arkansas River in 1969, as manager of the Pine Bluff Port. 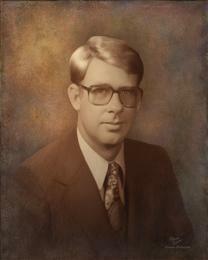 He moved to Fort Smith in 1970 to start the new Port of Fort Smith. He was made the Vice-president of Pine Bluff Warehouse Company in 1982, overseeing seven Ports in Arkansas. In 1996, he built Five Rivers Distribution, where he served as CEO. He was a member of the Arkansas River Basin Interstate Committee, Past President of the Arkansas-Oklahoma Port Operators Association and the Inland River Port Terminals, Past Chairman of the Arkansas-Oklahoma Rodeo Parade Commission and the Fort Smith Water Resources Commission, Past City Director of Fort Smith, and past member of the Arkansas Sebastian County Sheriff's Department. Buck was a Veteran of the United States Army, a 32nd Degree Mason and a member of the First Baptist Church. He had a strong background in Industry and the Arkansas Waterways System, helping develop the Fort Smith and Van Buren, Arkansas area. To honor Buck Shell, people who work on the Arkansas River will take a break from moving barges today while the river rolls on. The Arkansas River Historical Society plans to induct Shell, chief executive officer of Five Rivers Distribution in Van Buren, into its Hall of Fame. Five Rivers is a privately owned intermodal river port. Shell said he plans on retiring in February after more than 38 years in river transportation, but his son, Marty Shell, and Paul Latture Jr. can’t believe he will entirely remove himself from the business and river development. “I suspect he’ll be around to help us on river projects, but we’ll miss him day to day,” Latture said. “He’ll probably be here at the scale house or doing something daily,” Marty Shell, partner in Five Rivers with his father, said. When Buck Shell started as a forklift operator at the Pine Bluff Warehouse Co. in 1969, the McClellan-Kerr lock-and-dam system was new. A year later, he came to Fort Smith to help the city build the Port of Fort Smith and stayed to raise his family. By 1982, he had risen to the position of senior vice president with PBW but kept his residence here while commuting to Little Rock and Pine Bluff when necessary. Buck Shell started Five Rivers 11 years ago. Just as he said he’s seen freight traffic on the Arkansas River grow in his almost four decades of working on it, he’s seen the private port in Van Buren grow too. When 36,000 tons moved through Five Rivers in March, Marty Shell said it gave the business its best month ever. In all of 2006, 94,900 tons were shipped through Fort Smith’s port. Recently, Five Rivers added feed grain and coal to the commodities it ships. It recently constructed a $320,000 warehouse for storing grain and will spend about $1 million for a new 35,000 square-foot building to accommodate the storage of steel. When the port of Fort Smith opened, steel was the primary commodity shipped through it, and Buck Shell said it remains the core commodity in Five Rivers business. The steel is used for the core of radial tires, barbed wire and for reinforced concrete, he said. Although the river has brought prosperity to the Shells’ business, the Arkansas can take away, too. Maybe Latture and Marty Shell find it hard to believe Buck Shell will step back from the business because he can still get fired up with enthusiasm for it. He is past president of the Arkansas-Oklahoma Port Operators Association, past president of the Inland River Ports and Terminals Association and past chairman of the Arkansas Water Resources Commission. Shell’s future, personal plans include hunting, fishing, grandchildren and some leisurely contact with the water. The other three people scheduled to enter the river’s Hall of Fame today are John Mawn of Little Rock and Bob Leise and John “Jack” Thisler, both of Tulsa.